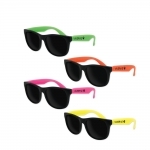 Customized kids classic sunglasses - 14 colors make great pair of shades for summer. 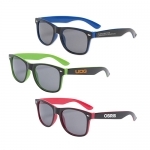 These UV400 kids’ classic sunglasses are available in various vibrant colors of your choice. 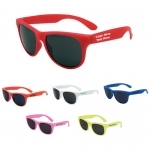 Made of durable plastic, these promotional sunglasses are ideal for kids between ages 7 -13. 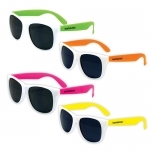 These promotional classic neon sunglasses are ideal promotional giveaways for surf shops, summer retail businesses, summer holiday destinations, kid’s theme parks, school fundraisers, sporting stores and more. 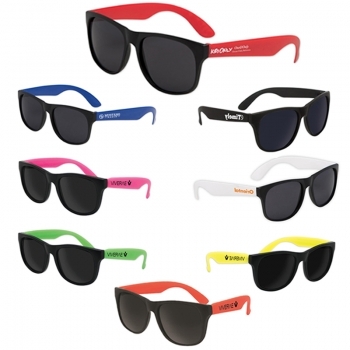 Whether your young customers are headed to a playground, a beach or on a school picnic, they will carry around your brand logo in a style. 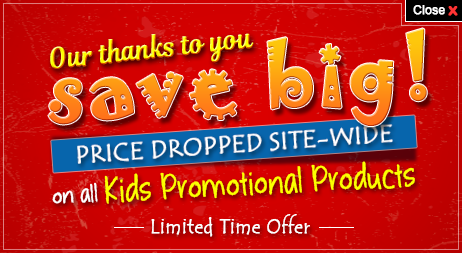 Order today to get started with these promotional giveaways for kids at guaranteed low prices! 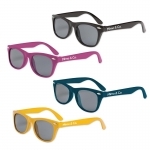 Request a quote to know what you can save on ordering these promotional kids classic sunglasses - 14 colors in bulk. 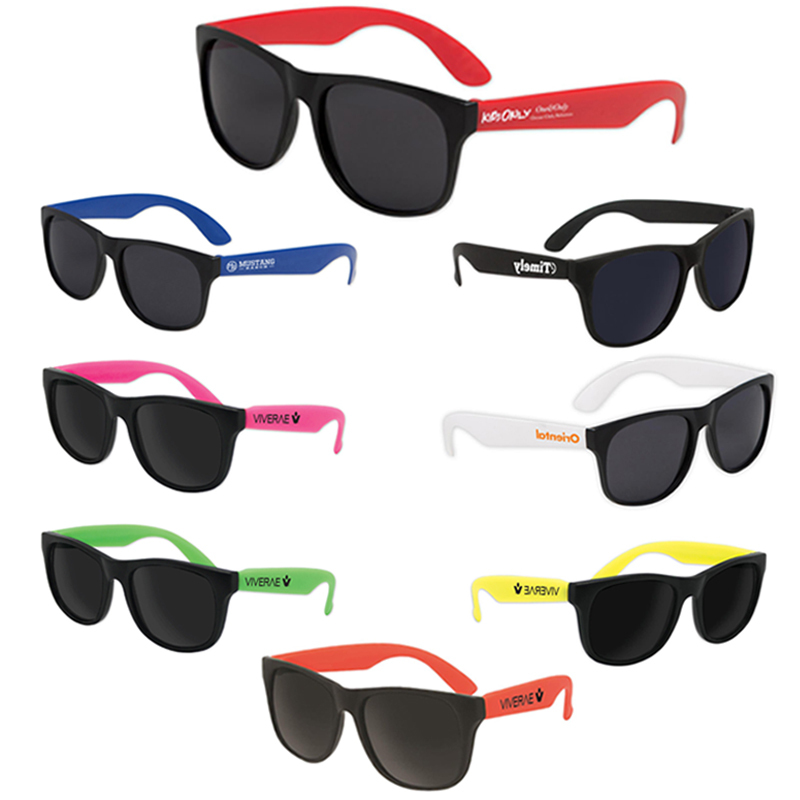 Available Colors: Black, Black with Blue, Black with Neon Pink, Black with Neon Yellow, Black with Orange, Black with Red, Black with White, Assorted. The sunglasses came out great! 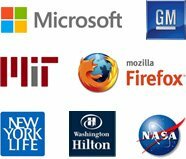 We are very happy with them!